I know how hard it is to balance all of your competing financial responsibilities. You want to be able to pay your bills, save for the future, and enjoy yourself in the meantime, all without feeling burdened or stressed about money. But you’re not sure how to do it. And you don’t know how to get direct answers to your specific questions because, let’s face it, financial advice from a professional you trust at a price you can afford is impossible to find. That’s why I offer the Jump Start Session, a pay-what-you-want financial planning session with a Certified Financial Plannertm, designed to help you take control of your financial situation no matter where you’re starting from. 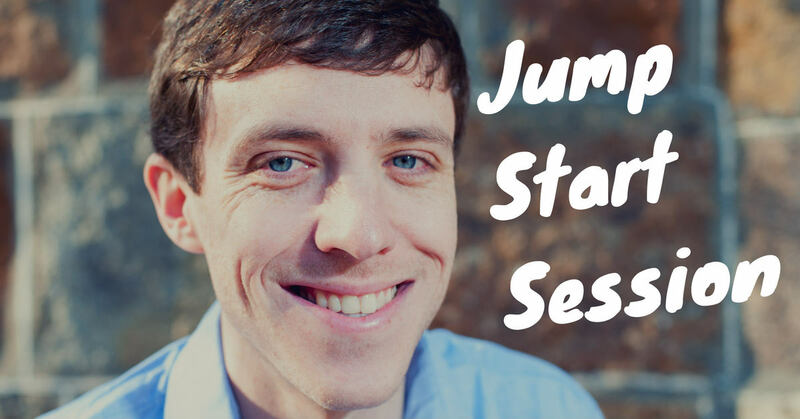 What Is a Jump Start Session? The Jump Start Session is a 60-minute financial planning session designed to answer your biggest questions and create an action plan that you can follow to put yourself on the right track. Once you’ve scheduled your session, I send you an online questionnaire so that you can tell me a little bit about who you are, what you’d like help with, and some details about your current financial situation. I review that questionnaire ahead of our session, and then we spend our time together crafting a plan that addresses your biggest needs. Afterwards, I send all my recommendations and suggested action steps in a written document so that you know exactly what you need to do next. The main goal of this session is to give you concrete advice that you can actually use to improve your financial situation. But it’s also a great way to test drive the relationship so that you can get a feel for how I work before deciding whether to commit to the more comprehensive Financial Foundation Program. The Jump Start Session is pay-what-you-want, which is exactly what it sounds like. I have a few suggested price points that you’ll see when you set up payment (currently ranging from $99 to $299), but I genuinely want you to choose whatever price fits into your budget. The service is the same no matter what. Click here to schedule your session now. Any and all financial topics are on the table. The Jump Start Session is all about helping you make progress on the things you care about most. If you’d like guidance from a fee-only Certified Financial Plannertm at a price you can afford, click the button below to get started.